Catch Des Moines honored nine businesses and individuals for their strong commitment to and support of the tourism industry in Greater Des Moines. Winners were recognized at the 2018 Catch Des Moines Annual Celebration, an event that celebrates the success and continued growth of tourism and the hospitality industry in the metro. The businesses, nonprofits and individuals received awards for their work in making Greater Des Moines a better place to visit, live and work, in turn furthering the mission of Catch Des Moines from July 2017 – June 2018. Three additional businesses were selected through online voting for the 2018 Visitor Choice Awards. This champion helps bring more visitors to Greater Des Moines. Whether a group or individual, this community contributor has made Greater Des Moines a better place to live, visit and work. The advocacy of this corporation brings vitality and strength to Greater Des Moines tourism. This partner proudly supports tourism efforts in Greater Des Moines. 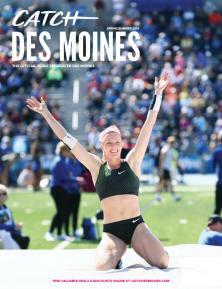 This winner shows support in bringing sporting events to Greater Des Moines. This individual or group exemplifies first-class hospitality and has a passion for enhancing the industry. For photos of the event or additional information about the awards, please contact Jordan Powers at jordan@catchdesmoines.com or (515) 699-3466.